Meet the ultimate, brass buster. Its hard to get excited about new hair color when tone is slightly off! The intense hue of purple carrot allows gold/brassy tones to be cooled down, as purple is the opposite position on the color wheel. 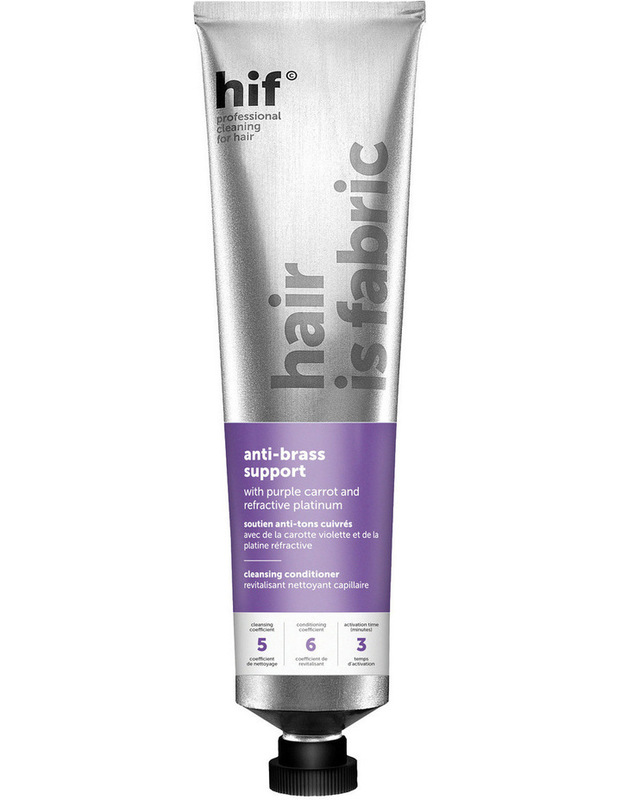 The refractive platinum allows hair to maintain shine throughout the process of cooling down the brassy hues. Deep conditioning actives help hydrate and strengthen hair at the roots, leaving hair feeling soft and supple.